On Friday, the Legislature debated LB 599 on Final Reading. LB 599 would have allowed employers to pay young workers under the age of 18 a lower minimum wage than other workers. Because LB 599 amends a ballot initiative, it required 33 votes for passage. LB 599 did not acquire the needed 33 votes and therefore is dead for the year. I opposed LB 599 because it subverted the will of the people who spoke clearly on this issue in November when they overwhelmingly approved a higher minimum wage for all workers. Also on Friday, the Legislature debated LB 268, a bill to replace the death penalty with life imprisonment without possibility of parole. LB 268 faced a filibuster during the second round of debate. By legislative rule, it takes 33 votes to invoke cloture and cease debate. If a bill fails to gain enough votes for cloture, the bill is dead for the year. The Legislature voted 34-14 to cease debate and invoke cloture on LB 268. The bill advanced to Final Reading on a 30-16 vote. I joined my colleagues in supporting the motion to invoke cloture and to advance the bill on General and Select File. On Thursday morning, the Legislature advanced LB 623, a bill to allow Deferred Action for Childhood Arrivals (DACA) youth, often referred to as DREAMers to receive Nebraska driver’s licenses. Currently, Nebraska is the only state in the country that does not allow DREAMers to obtain a driver’s license. DACA youth must have entered the United States before they were the age of 16 and prior to June 15, 2012. They must also be currently enrolled in school, received a high school diploma or an honorable discharge from the US Coast Guard or Armed Forces and cannot be convicted of a felony or pose a threat to national security or public safety. 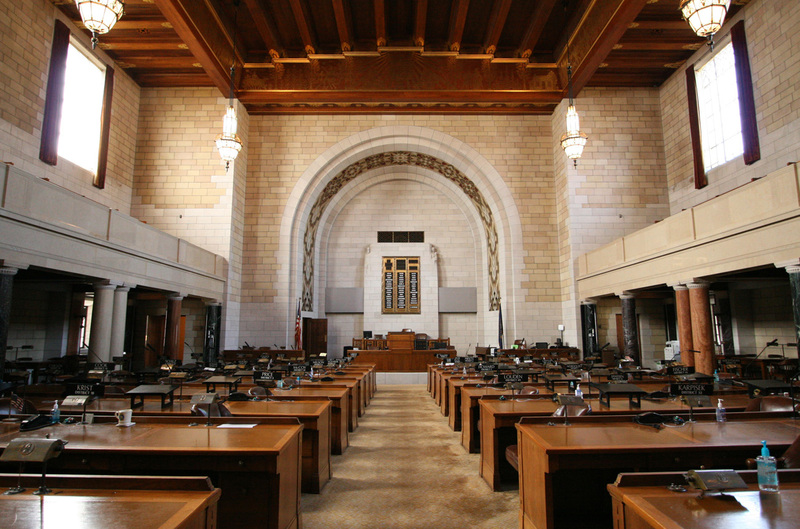 LB 623 is supported by a broad coalition including Nebraska Cattlemen Association, Nebraska Restaurant Association, Catholic Charities of the Archdiocese of Omaha, Heartland Workers Center, and the League of Women Voters of Lincoln/Lancaster County. I joined 38 other senators in supporting the bill to allow these young Nebraskans, many of whom have spent a majority of their lives in Nebraska, to contribute to our economy and our communities. On Tuesday, the Legislature advanced LB 605 to Final Reading. As I mentioned in previous updates, LB 605 makes important changes to our criminal justice statutes based on the recommendations of the Council of State Governments and the Nebraska Justice Reinvestment working group. This working group consisted of members from the legislative, executive and judicial branches. Since the bill was heard on General File in mid-April, I have worked extensively with Senator Mello, the bill’s introducer, and other senators involved in the working group to reduce the fiscal impact of LB 605 on counties. AM 1610 represented some of this work. The amendment clarifies that the special investigative committee created under the bill will also examine county costs as part of its charge. It also corrects some language Sarpy, Douglas and Lancaster counties have found problematic based on their experiences with recent juvenile justice reforms. I appreciate Senator Mello’s leadership on this issue and his willingness to work with me on behalf of Sarpy County and other counties across the state. I support LB 605 and look forward to voting for the bill when it comes up again on Final Reading. The deadline to introduce interim studies was Thursday at adjournment. Per legislative rule, senators have until Day 80 to introduce interim study resolutions. These resolutions are in-depth policy analyses conducted by senators and legislative staff. Committees will meet to prioritize interim study resolutions before the end of session to determine which studies will receive a hearing. Below are a few interim studies I introduced this session. A complete list of interim studies can be found here: [click]. LR 185: Examines barriers to credentialing for licensed mental health practitioners, psychiatric nurse practitioners and psychiatrists who have completed their training and are provisionally licensed. LR 222: Studies issues related to family and medical leave. Specifically, the study will examine the current availability of paid and unpaid family and medical leave in Nebraska as well as policies in other states that establish or encourage paid family and medical leave. LR 223: Evaluates strategies and ideas to ensure more adults who complete basic adult education move onto and complete postsecondary education.